From its cash economy to cycling through the country. Fidel Castro hit the pause button on economic development in the 1960’s, which actually ended up preserving many endangered traditions. Infrastructure has certainly suffered, but historically significant sites -- from iconic hotels to entire colonial towns -- have survived and are now undergoing restoration. While the United States severed diplomatic ties with Cuba in 1961, the time warp may soon be over with the joint announcement from Cuban President Raul Castro and President Barack Obama to seek to restore diplomatic ties on December 17, 2014. The former Spanish colony of Cuba is located halfway between the US and Latin America and offers a diversely rich culture mixed with French, African, American, Jamaican, Russian and indigenous Taino influences. While communism has left its mark, many visitors are surprised to arrive in Cuba and find a wildly exuberant place where music emanates from almost every doorway. Some helpful tips: Cuba is a cash economy. While credit cards may be accepted at most resort hotels, check in advance of your arrival. Note that ATM cards are not widely accepted. Hotel accommodations are simple even at the 4- and 5-star levels, though luxury international hotel development is well under way. Immerse yourself in Cuban culture and support a local family by booking a room at a Casa Particulares. You will quickly discover that locals and expats alike are hesitant to discuss any type of politics, though otherwise extremely friendly and excited to share their daily life. 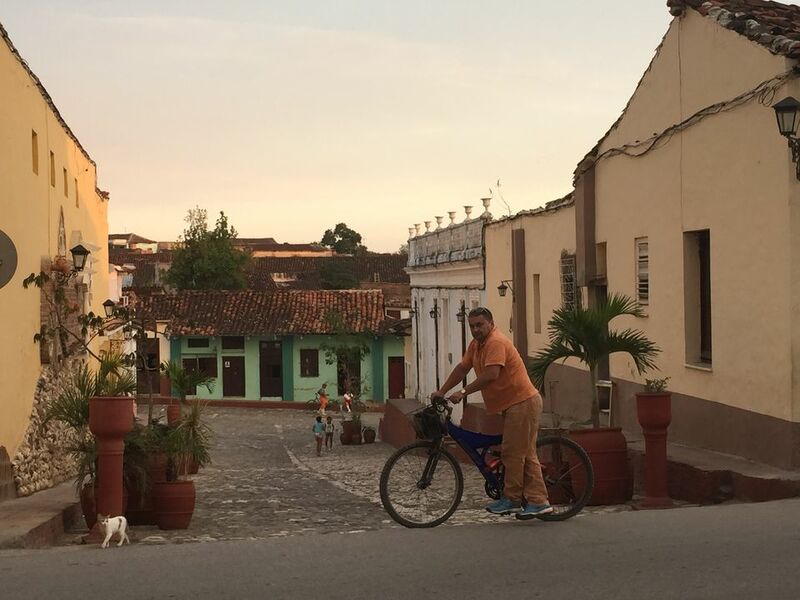 It is important to have a basic understanding of the Cuban people’s daily life. While education, medical care, a monthly rationing of food, your family home and a job are provided, the average monthly salary is approximately 20 pesos, which is far below the 120 pesos needed to live simply each month. We highly recommend carrying toilet paper and handy wipes. Do not plan on having Wi-Fi or cellular access unless you purchase a local SIM. Note that only an estimated 5-25% of Cubans currently have access. Though connectivity is starting to change, Artist Kcho just opened the country’s first public wireless hub at his cultural center in Havana. Restrictions on US travel to Cuba may have eased, but travel for tourism currently remains prohibited. Direct charter flights have already begun via Cuban tour operators from US cities like Miami, New Orleans and New York. JetBlue Flight 387 touched down in August 2016 marking the first direct commercial flight between the US and the island in over half a century. According to the US Department of Transportation, "Soon", up to a maximum of 110 daily flights operated by US carriers are due to begin flying to the communist-run island. #7 Eat a local meal and music at Son y Sol in Trinidad OR learn to ride a donkey! Cuba is a complex country and with recent news, travel laws are quickly changing. Please check out our video series on traveling to Cuba OhThePeopleYouMeet for more information.